It’s still hard to say whether this reboot will work out in the long run. But it should. For restaurants—as with computers, television shows and movie franchises—a reboot sometimes works and sometimes it doesn't. In the case of chef Erik Van Kley's re-emergence at Accanto late last year, it's been a boon to both the restaurant and his career. For years, Accanto was the neighborhood Italian side piece to Genoa, its storied sibling in Southeast Portland. When Genoa closed for good in 2014, Accanto faded even further into the background, frequented by neighbors but not many others. 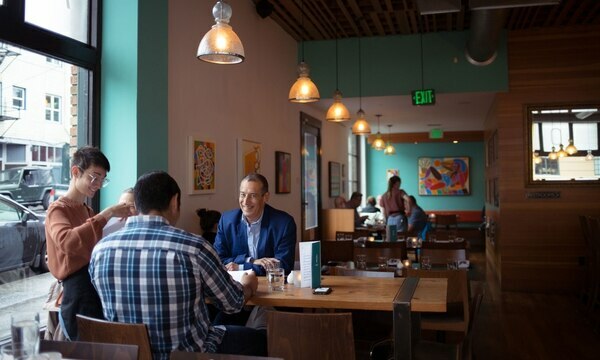 Likewise, Van Kley suffered a rough go with his first independent project, Taylor Railworks, after years laboring in the shadow of superstar local chef Gabriel Rucker. Taylor, which boasted big, bold global flavors and ingredients, lasted a couple years before shutting its doors. To their credit, Van Kley and partner Gabriela Ramos managed a cool reserve through their ordeal, moving on to Accanto barely weeks after the stoves cooled at Taylor. The Accanto-Van Kley union has resulted in an odd but pleasant hybrid. Accanto's simple Italian template has kept Van Kley from embarking on some of the wilder flights of culinary fancy that plagued the menu at Taylor. 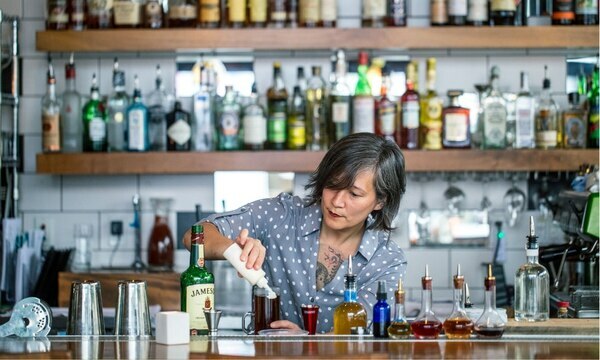 Meanwhile, as Accanto's menu has evolved over the past half year, Van Kley's creativity with global cuisine has elevated the restaurant to a higher plane, with about half the menu delving beyond safe classics. Even more traditional dishes have taken on a bolder, braver attitude. The concise dinner slate breaks into four main parts. The pasta section hews most closely to the classical. 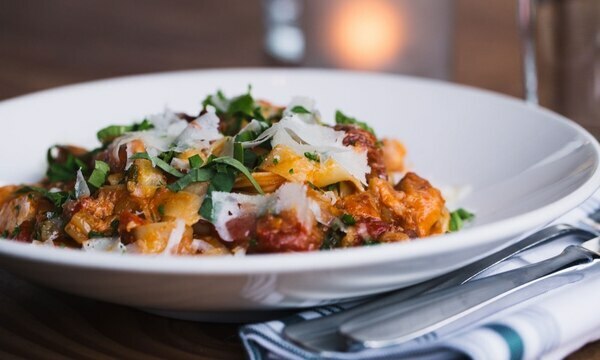 An amply portioned bowl of tagliatelle with pork shoulder, Calabrian chili and tomato bolognese ($17) reveals no surprises, but each component is perfect, from al dente strips of pasta to a just-kicky-enough sweet-hot chili jolt. 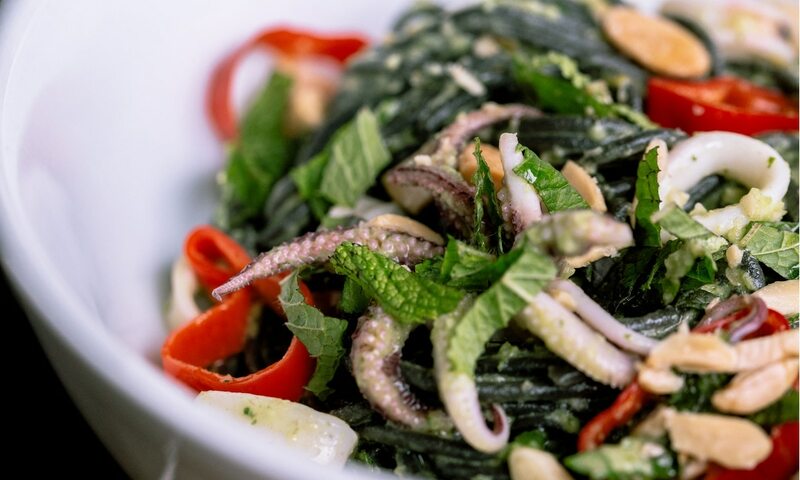 On the more adventurous end of the spectrum, squid ink spaghetti ($18) arrives with plentiful points of interest: unadorned squid rings and tentacles, crunchy bits of almond and punchy jalapeño pesto, plus a flurry of chopped mint leaves, delicate white onion blossoms and preserved Fresno chilies for still more flavor and visual flair. 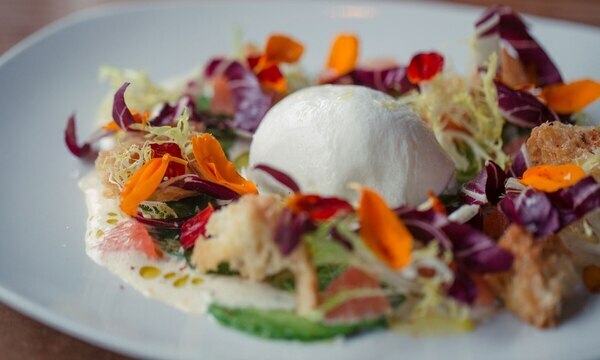 Among appetizers, one could easily opt for creamy burrata ($14), punched up with citrus accents and bitter greens. But why not jet to Paris via New York City with a couple thick disks of pastrami-spiced foie gras ($19)? Caveats are that the black pepper and coriander-heavy coating tended to dominate the dish, and the sweet onion mostarda was too sweet. "Proteins" also feature a delectable duality. Cotechino ($23), a simple pork sausage, reposes on soft polenta, embellished with a poached egg and smoky tomato vinaigrette, but the dish that best speaks to the chef's instincts and aptitude is buttermilk fried halibut ($27). 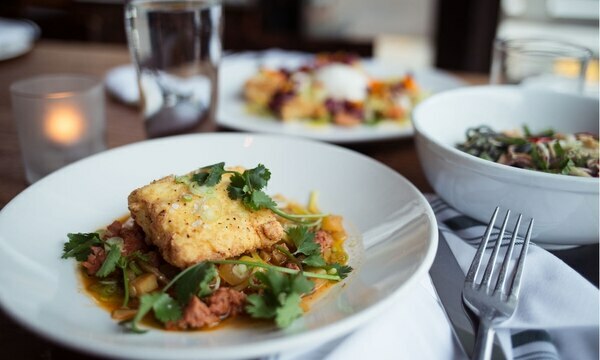 The substantial chunk of fish is ever-so-lightly breaded and arrives without a trace of oil atop a hash full of intrigue—chopped potato, ribbons of sweet purple spring onion and fermented preserved lemon and clods of housemade chorizo, all moistened in a pool of crab broth. I rarely bother with halibut—the tofu of the sea—but I could eat this dish regularly. And a side special of the sweetest, tenderest imaginable cold snap peas ($11) in a smoked trout remoulade was pure Van Kley bliss. Though Accanto's menu has clearly evolved since last November, the dining room has not changed, and that is a good thing. The space remains warm and welcoming, with big picture windows bringing in summer's natural light. Floors are wood, tables are well-spaced, chairs are comfortable and the soundtrack muted, all aiding the conversation you want to have but usually cannot. 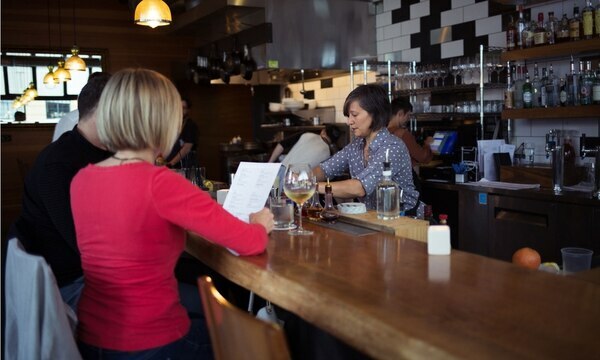 For solo diners, a short chef's counter and comfortable enough bar allow for gazing into the kitchen or at brightly colored artwork that dots the walls. All that's missing at Accanto these days is you, meaning weeknights remain too quiet and there's still room to walk in even on weekends. In other words, despite all the excellent Italian and not-so-Italian food and embracing ambience, it's still hard to say whether this reboot will work out in the long run. But it should. GO: Accanto, 2838 SE Belmont St., 503-235-4900, accantopdx.com. Dinner 5:30-9:30 pm Sunday and Tuesday-Thursday, 5:30-10:30 pm Friday-Saturday; brunch 10 am-2 pm Saturday-Sunday.